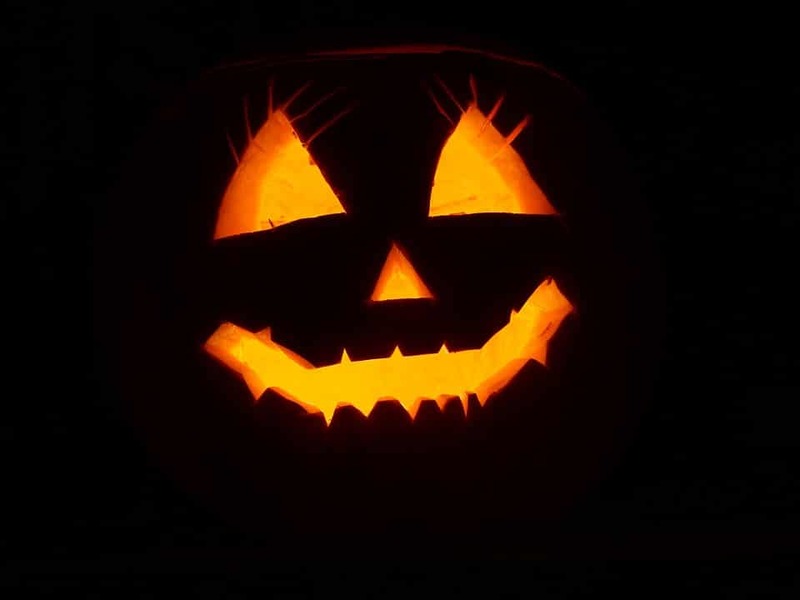 Are you ready for the spookiest, scariest, hocus-pocus-filled day of the year? It’s Halloween and we couldn’t be more pumped here at Skate Moore in Moore, Oklahoma! But no matter how much you love Halloween, sometimes the scariest part can be coming up with the perfect costume. Don’t get too bent out of shape, though. We have some great costume ideas for you this Halloween. Check them out and don’t forget to roll over to celebrate with us at Skate Moore this October! Disco Skater – Revisit roller skating’s heyday with some bell bottoms and a flashy silk shirt. You’re sure to skate with serious style all night long. Roller Derby Girl – Lace up your high-tops and don your favorite high-waisted shorts with a jersey and you’ll be ready to throw a shoulder block with the best of them … or at least look the part. Pun Costumes – Okay, so maybe punny costumes aren’t exactly skating related. But they’re still fun and as long as you’re on skates, it’s all good. You could get a red wig and a baguette and call yourself a gingerbread man. The social butterfly is a good one too. Simply buy or make butterfly wings and print out some social media icons to tape to your shirt! Group Costumes – the only thing better than dressing up is dressing up with a group of friends. From soda bottles to rock, paper, scissors, there are tons of great group ideas out there. No matter what you decide on, though, everything is more fun in a costume. Be sure to prepare early and give us a call at Skate Moore to find out what’s going on here for Halloween this year! October has a lot going for it. The weather is finally comfortable again, fall colors are making the landscape beautiful and Halloween is right around the corner. But most importantly, it’s national roller skating month! At Skate Moore in Moore, Oklahoma, that’s our favorite part! 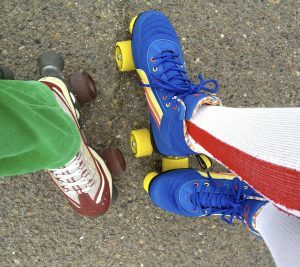 Skating is a fun and healthy way to enjoy your fall season and now that it’s officially roller skating month, why not lace up and go for a spin? If you’re on the fence about trying skating or feel like it’s been too long and you’ve forgotten how, don’t worry about a thing. Learning (or relearning) is easy and you’ll be amazed at some of the benefits you’ll get out of it, too. Whether you’re skating indoor on traditional quad skates with us at Skate Moore, or you’re hitting the streets in your inline skates, you’ll be burning up to 600 calories every hour. That’s a close equivalent to running but without the wear and tear on your joints and bones. You’ll also get an amazing cardiovascular workout which means better heart health and a lowered risk of heart disease! It’s no wonder October is National Skating Month. The weather is perfect for skating outdoors or inside. With the school year getting its rhythm, Skate Moore is the perfect place to have a birthday party or a school fundraiser. Plus, when you skate, your Halloween costume potential goes through the roof! If you want to find out more about what’s going on at Skate Moore during October, give us a call or stop by during our open skating times! Maintain Your Skates to Get the Most Life Out of Them! So you’ve made the jump from rentals to owning your own skates, huh? Congratulations! Prepare to take your skating to the next level. Once you’ve broken in your new skates, you’ll start to feel your turns become more reactive, your control more crisp, and your comfort level way beyond anything you ever felt in a rental. At Skate Moore in Moore, Oklahoma, we want to make sure you get the most out of your skates by giving you tips to maintain and care for them. 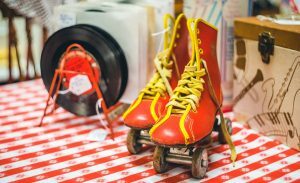 Whether you’re on a roller derby squad, getting into speed skating, or like to jam skate (aka dance on wheels), there is general maintenance that all skates need to keep them rolling smoothly. Make sure you keep your boots dry. Wet leather will wear out quickly get deformed and ruin your skates in a hurry. Check your trucks often. Make sure your trucks are tight to your boots and check them often. Loose trucks can mess up your skating and even become dangerous. Keep your wheel bearings clean. Nothing makes your skates feel smoother than a pair of good, clean bearings. Check that they’re spinning right and that they’re clean. Change them out when needed and keep them dry. These are the basics of roller skate maintenance and should keep you rolling if you pay attention to these tips. Keeping your skates well maintained will extend the life of your skates and make your overall skating experience a better one. For more tips, drop by Skate Moore and talk to our crew in the Pro Shop today! School is back in session and it’s time to get the kids back into a routine. This year, why not try to add something a little different to their weekly after-school activities? At Skate Moore, our roller skating center is perfect for keeping your kids active and out of trouble after school. Of course, kids want to have fun after hitting the books all day, but they might not always want to exercise. At Skate Moore, they’ll get both without even realizing it! 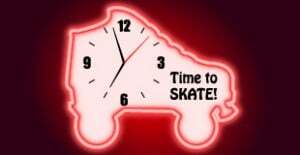 We have open rink times all week long but you might want to think about taking advantage of our Thursday Cheap Skate special! Save big on admission every Thursday night all school year long from 6 pm to 9 pm. For only $6 you get three hours of skating which means your kids will have three hours to let loose, have fun, and get some great exercise. Did you know that you can burn up to 600 calories an hour roller skating? Plus, skating is much easier on your body than other forms of cardio and aerobic exercise. Your kids will never realize it, though. They’ll be too busy having fun and playing our classic skating games. You’ll meet people from all over at the skating center and it’s a perfect place to make new friends. As a family-oriented activity center, you don’t have to worry about your kids getting into trouble or falling in with the wrong crowd. At Skate Moore, we provide a fun and safe environment for all ages! So if you’re looking for a new way to keep the kids happy, get them to shed some of the extra energy and make great new friends, make Skate Moore part of your after-school routine this year. Give us a call or roll by to learn more! Check Out Our PTA Program at Skate Moore! School is back in session throughout the Oklahoma City area and at Skate Moore, we’re ready to make the transition easier for everyone! Roller skating is a great source of exercise for children and parents alike. 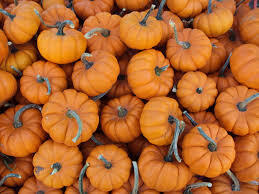 Plus, it’s a great activity to keep families having fun together through the fall and winter months. Signing your school up for a PTA fundraiser at Skate Moore is easy. Simply call us up and let us know you are interested in getting your school involved in the super fun activity of indoor skating. Also, make sure to let us know how many students will be participating and we’ll take care of the rest. Once everyone has signed up, each school will receive their scheduled night. The Skate Center makes coupons for each student to be handed out at school. The more announcements your school makes turns into more dollars for your school! Our PTA parties happen every Thursday from 6 pm-9 pm and the charge is a nominal fee of $4.00 per person including regular quad-skate rentals. Make Money for Your School! Fundraising at Skate Moore is fun and easy. All you have to do is get as many of your students out to the rink and make sure they bring all of their friends and family. For every admission we receive during your school’s PTA night, $1.00 goes directly to the school. That could end up being hundreds of dollars that can be used toward field trips, school supplies, and more! Just remember that promotion is the key to a good turn out. Stop by and take a warm-up skate to get pumped up for the event and spread your enthusiasm leading up to the event. We have open skating times all week long so roll by and check us out! If Skate Moore in Moore, Oklahoma, is becoming one of your weekly or even daily go-to spots, it might be time to consider making the switch from rental skates to owning your own! But even if you don’t skate every week, you shouldn’t overlook the benefits of owning skates. Check out a few of our guidelines to know when it’s time to buy versus when renting will do just fine. Obviously, beginners should take advantage of our skate rentals, but there are some other good reasons to keep renting as well. Picking up rental skates is a great way to feel out the perfect fit. Skates that are too big or too small can cause all kinds of problems. So, before you buy, make sure you get your size dialed in by renting a few different pairs of skates. Figuring out the type of skate that you want is also important. At our pro shop, you’ll find everything from speed skates to roller derby styles and everything in between. Take some time to experience the different styles of skating with rentals and then move onto making the right purchase! Having your own pair of skates will take your time at the rink to the next level. There’s really nothing quite like having skates that fit your feet perfectly and no matter what your skating style is, you’ll do better in skates that you own. If you skate once a month or more, it’s definitely worth investing in a pair of your own. Buying not only ensures you’ll have the perfect fit for your foot every time you roll out onto the hardwoods, but it’ll also save you money in the long run. Renting roller or inline skates from us at Skate Moore isn’t too costly, but it can add up over time. If you’re going to get into roller derby, racing, or inline street skating, you will definitely want to purchase a custom-fitted pair of skates, too. Luckily, we stock all the styles, brands and sizes you need right here at our pro shop! Roll by and find your perfect fit today at Skate Moore in Moore, Oklahoma. 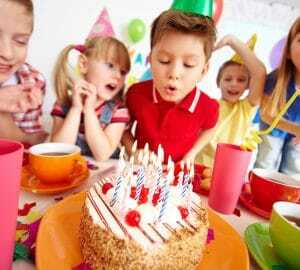 At birthday parties, your birthday boy will get tons of presents from friends and he will likely want to play with all of them right then and there. So, one of the ways you can make his birthday party even better is to hype up the day. You can do this by celebrating his birthday for an entire week! For example, if his birthday falls on a Saturday, start celebrating him one week earlier. Each day, you can give him a small gift, make a yummy breakfast, or take him to his favorite outdoor park. It will get him so excited for his birthday and birthday party. It’s fun to plan birthday parties and surprise your birthday boy with a fun-filled day. But, it’s also very fun to ask him what he wants and how he wants to celebrate! Ask him who he wants to invite, where he wants the party, when he wants to have it, and more. All these little details will make him feel included and loved knowing that mom and dad want him to be happy. We won’t be surprised if your birthday boy wants a roller skating birthday party! It’s loads of fun at Skate Moore. We think you, Mom and Dad, will love it too. With our affordable birthday party packages, you get to enjoy the day, as well! You’ll get a stress-free day with a very happy birthday boy. If you have questions, don’t hesitate to contact the Skate Moore team today! The 4th of July has come and gone. That doesn’t mean your summer fun is over! At Skate Moore, summer is just getting started. And with our new pricing, there’s never been a better time to get your groove on at the roller rink! Whether you’re young or old, our skating center in Moore, Oklahoma, is a great way to have fun with friends this summer. Check out our new prices and roll in today for a lesson or a free skate! Plus, skate rentals are included in the price ($5 extra for inline skates). 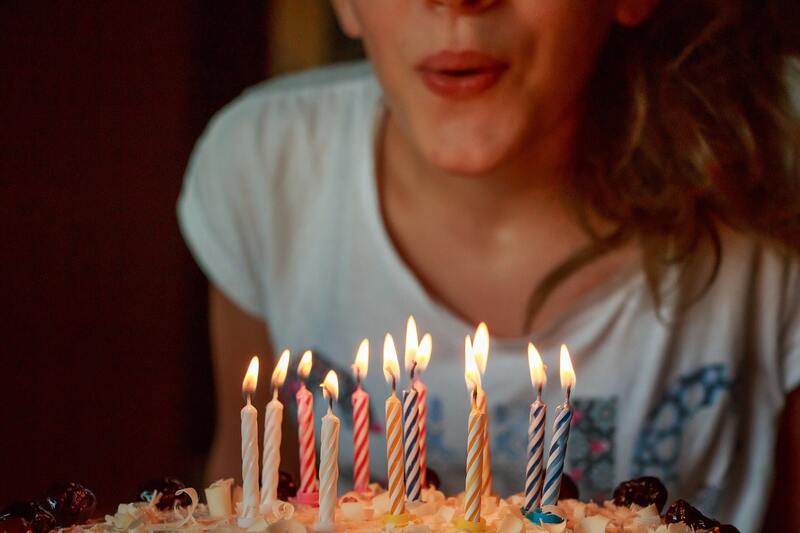 Do you have a big summer birthday coming up? Skate Moore is the perfect place to gather with all your friends and family to celebrate in style! Our party packages are loads of fun and we are able to book parties any day our skating center is open. Stop worrying about bad weather crashing your party. Give us a call and we’ll line it all up so you can have a birthday to remember. 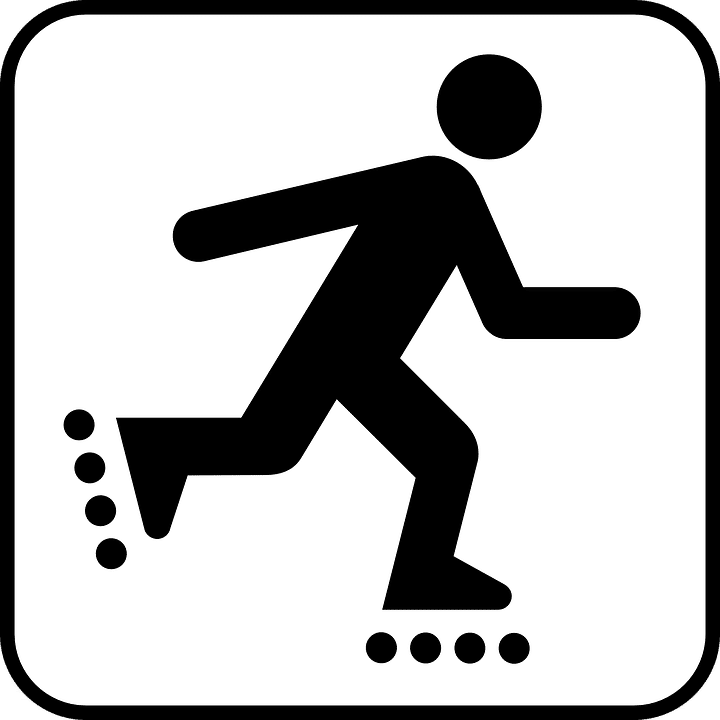 We’re a family-owned and -operated business so we know how important it is to have a fun and safe environment for our young and old skaters alike. We offer clean, safe and healthy fun at unbeatable prices. If you want to find out more about booking our skating center for a private event or party, give us a call today! We’ll be here skating and having a blast all summer long. Do you have a child who is celebrating her birthday during the summer? We know exactly where you should host your child’s birthday party: Skate Moore! In addition to fun music, cool air conditioning, a great atmosphere, and more, Skate Moore is the place to be for your child’s summer birthday party. Do you have a teenager and a little one that has summer birthdays? Bring them to Skate Moore! When you come to our roller skating rink, you’ll see kids and adults racing around the rink having a great time. That’s because this activity caters to people of all ages. Summer provides the perfect weather for pool parties and barbecues. But, you can’t always count on Mother Nature to provide! This year, skip out on the pool party and host your child’s birthday party at Skate Moore in Moore, Oklahoma. Your child will love celebrating in a unique venue full of fun music, flashy lights, and more. Mom and Dad, we didn’t forget about you on your child’s birthday. We know you want to throw the best birthday party for your child at a reasonable price. That’s why our birthday party package starts at $150! This price covers 10 skaters and their rental skates, three to four hours of skating, one drink per skater, and one extra-large single topping pizza. The birthday child receives some extra special goodies which make the whole day magical. Are you ready to book your child’s birthday party at Skate Moore? Contact us today to make a reservation! 1743 – Imagine going to a theatre performance and watching an actor stride onto the stage in wheels. This was the case for many theatre-goers in London, England, who were watching a stage performance. Although the inventor of this skate is unknown, it is the first recorded use of skates. 1760 – Seventeen years after roller skates shocked many theatre-goers, John Joseph Merlin created inline skates. He wore them himself while attending a masquerade party! 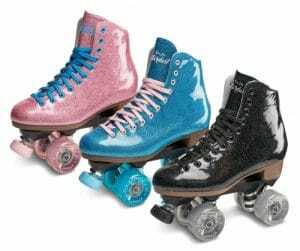 1819 – Mr. Petitbled was the first to patent the roller skate design. They may look similar to the inline skates we use today, but its maneuverability and comfortability were non-existent. Skaters could only skate in a straight line! Fortunately for us, many decades were spent in the 1800’s to improve the design. 1857 – London wowed the world again by opening the first public skating rinks. Skates had come a long way from their initial appearance on a London stage over a century earlier. 1863 – An American man, James Leonard Plimpton, designed the quad skate, which was much like the skate we know today. Public skating rinks opened with intensity as more and more people enjoyed this newfound hobby. 1876 – The toe stop was patented! You likely use your toe stop while skating at Skate Moore in Moore, Oklahoma. This is an easy way for skaters to stop on a dime, if needed. 1902 – Skating at Skate Moore is a popular activity to do in the summertime, but can you imagine skating with 7,000 people at once?! When the Chicago Coliseum opened its first skating rink in 1902, over 7,000 people attended opening night! 1983 – We think skating is pretty cool and so did President Ronald Reagan. He declared October to be National Roller Skating Month in 1983. Since roller skates first debuted in 1743, huge strides have been made to make them comfortable, maneuverable, and safe. At Skate Moore, we love seeing new and advanced skaters at the rink. So, check out our summer schedule and head to the rink today for some fun!